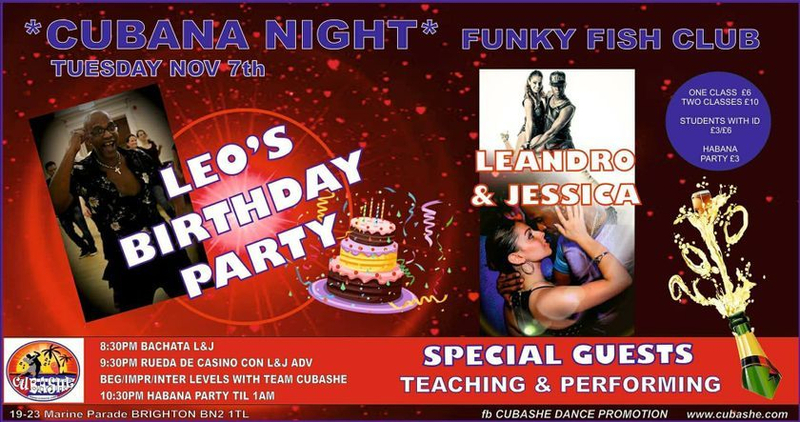 Don't Miss Leo's Birthday on 7th Nov with Special Guests: Leandro Charanga & Jessica Guastella! 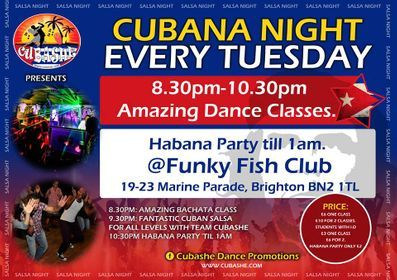 Every Tuesday, is a good Tuesday because every Tuesday, the Cubashe Team give you the best of ourselves & try as much as we can, to give you a good Tuesday. Price: £6 one class/ £10 for any of 3 classes. All the details are here & the Teachers will be waiting for you. * Classes with the top instructors in the industry. We stand by our claim that the classes we provide are AUTHENTIC and to the highest standard- you won't find better! *Great venue to meet new people & mingle. Sit at the bar or one of our tables and enjoy a drink and watch the dancing. * Fun & friendly atmosphere with the whole team on hand to chat & dance with. * Cubashe famous line-ups and group rueda's.